These are some great thoughts and I think you’ve done well to point out the changing styles tied to changing times. In my experience as an artist it can be difficult to gauge the impact your immediate time has on your work. I think, for this reason, the classical tradition in religious art must be studied and emulated. Like with architecture, works done in a timeless style lend themselves to certain venues. This may help artists develop works that separate themselves from stylistic parroting current trends. Of course, as artists, we also have to be aware of our audience and consider the established icons of Christ. 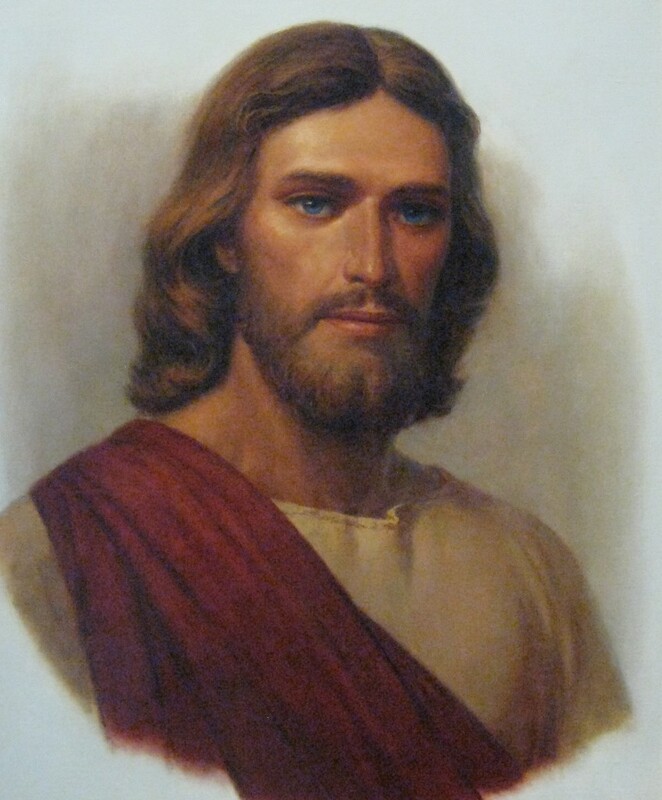 It would be impossible, for instance, to paint Christ as Michelangelo did, with shorter hair, no beard and blue eyes and still have that image communicate to today’s viewers. On top of that, you have the cupcake and teddy bear market (Deseret Book, Seagull, etc.) that seems to drive the overly sentimental, soft and cheesy works of Christ. Most artists are like most people in that their concept of success is tied to money. So we see much of the artistic decisions pertaining to religious art conceding to these perceived demands by the average buying public, for the sake of a more sure sale (or mass sales when speaking of the print market). In these works we see artists using art as a mirror to reflect the average, luke-warm culture of the church. What we need are artists willing to use art as a hammer to forge new and lasting conceptions of what is, perhaps, the richest of all narratives. This reminds me of Vasari’s comment that if you copy the hand of a Greco-Roman sculpture over and over again, you will eventually arrive at the perfect hand. That is perhaps the most succinct definition of neoplatonic thought applied to the fine arts. It is also the goal of most academic training. And, I believe that painting that hand over and over again will free the artist, in some measure, of contemporary influences and connect the artwork to a style that is more “timeless,” for lack of a better word. But, I still believe that the most classically trained artists are unwittingly influenced by their own time and place. I can look at a painting, regardless of the skill level of an artist, and usually date it within ten years. That is not an insult. It just is. I think that a classical education is more likely to make that work last beyond the contemporary trends that otherwise affect the work. Why? Because it has a language that transcends its own time, as well as being a part of its own time. I am in total agreement. It is impossible to fully separate oneself from the influences of their own time. I have friends who are desperately trying, but the reality is our surroundings and interactions matter. I don’t think it’s necessary to try and defy those influences, as they are the source of our tangible reality. Our most sincere work will be an extension of that reality. But, like you say, a student of the classical tradition will be able to tailor their work in a manner that more fitfully transcends their own time. I think that this classical style, lends itself very well to this narrative. Thank you again for putting these thoughts together. I think this type of art criticism is a needed system of checks and balances that has the potential to offset the current culture of mediocrity. As you covered in a previous post, artists achieving greatness and mastery have been prophesied. It’s unlikely to happen if all we do is pat each other on the back and congratulate ourselves. We’ve got to hold each other accountable and push each other to reach higher. Conversations like these are great. Thanks Micah. 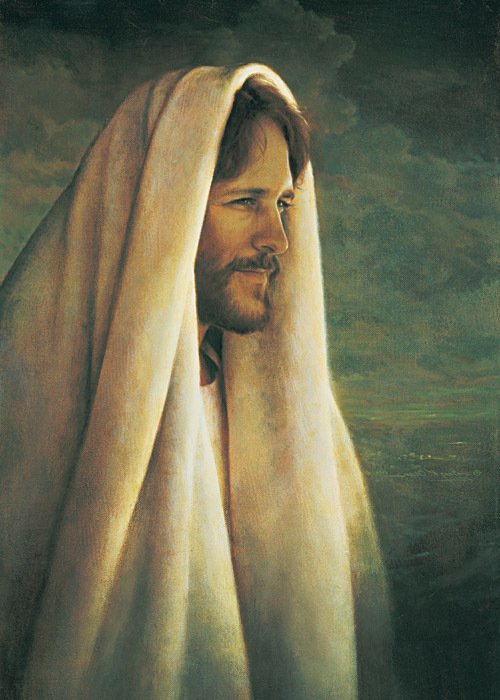 I expect most, if not all, artists choose images of Christ that they can relate to. This is why their paintings reflect their times, race, etc. I know three artists who have strong muscular builds. Their interpretations of Christ look like them. I know another who’s version of Christ could pass for her own son. Artists have alway been influenced by their time and culture. What is wrong with that? Everyone is a critic. I don’t know if there is anything wrong with artists painting their own time and culture. Seriously. It’s not just true of Mormons, it’s also true of Old Masters. Christs by Titian look like sixteenth-century Venetian lords. Christs by Rubens look like Northern Europeans. I guess my only reason for pointing it out is that we need to be aware of the phenomenon. I found your comments on what kind of depictions of Christ we don’t usually see, such as the crucifixion, cleansing of the temple, and cursing of the fig tree, to be fascinating. The main crucifixion piece that I think of is the Harry Anderson one, but I couldn’t think of anything more recent. I did a little searching, and I did find one by Simon Dewey of all people, though it just shows the mourners at the cross and a shadow of the cross looming over them. 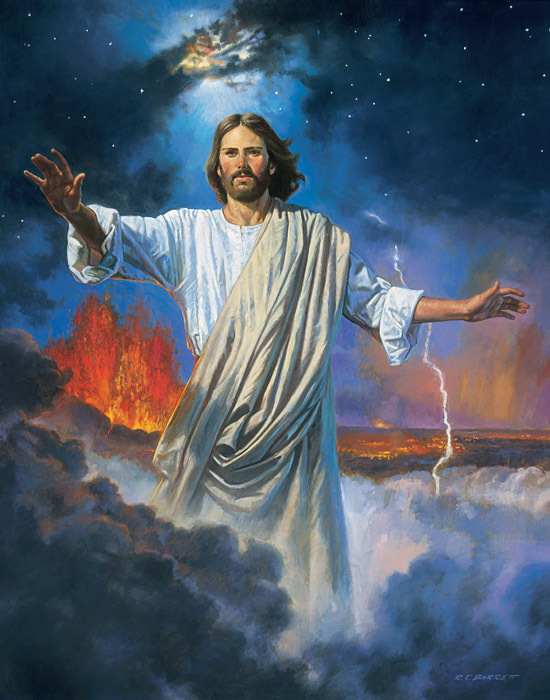 As for the cleansing of the temple, I imagine the depiction would be similar to the most recent official Church Bible video of that incident, which is fairly underwhelming. If I remember correctly, Jesus just walks through the temple, turns a table over, knocks over a couple things, and makes a proclamation. Not really that exciting. But that’s just an indication of what we’re comfortable with in our depictions of Jesus. 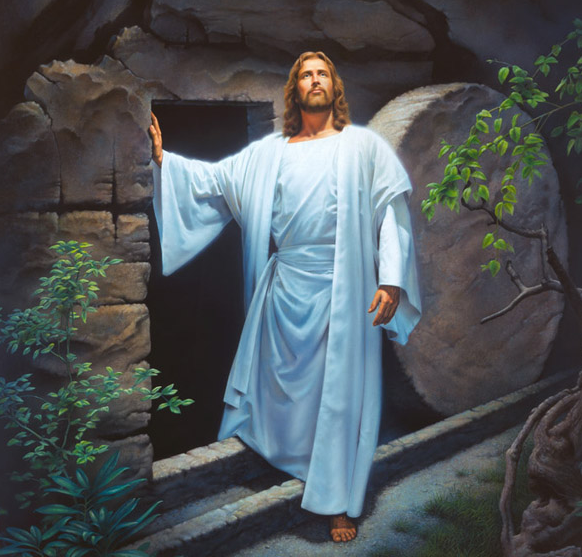 I think the consensus in the other comments is that there’s nothing wrong with people in different eras depicting Jesus in different ways, as long as we acknowledge the fact that we’re doing it. I tend to agree, and I think acknowledging it not only helps us understand what’s really going on, but will help us to look at what the depictions show about how the artists themselves and we as a Church view Jesus Christ. 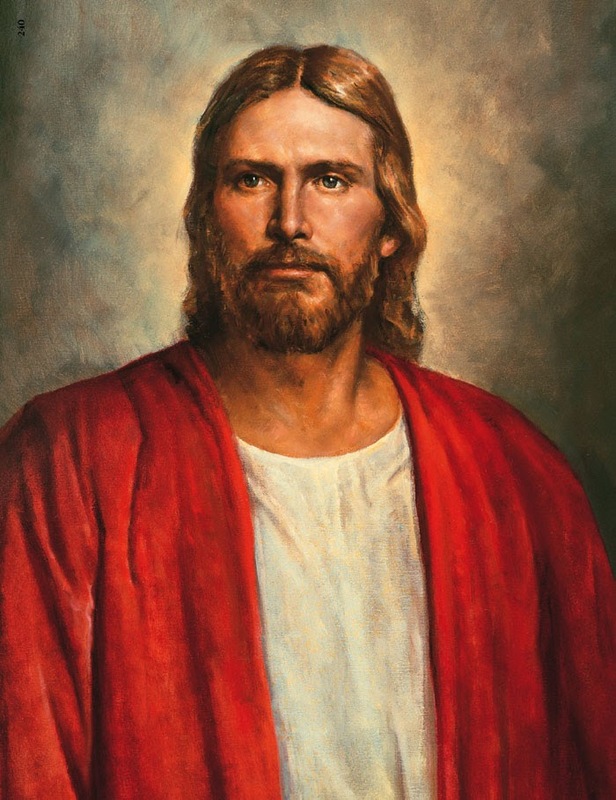 The problem, however, is that sometimes we give Christian and especially Mormon artists some kind of legendary status, like God is putting images directly in their minds of what Jesus *really* looks like, and they just put it on a canvas. I think those with a knowledge of art history will know what’s going on, because it’s been going on for hundreds of years. Unfortunately, it’s difficult to teach an entire church a course in art history so that they can understand the real significance of what they’re looking at. ← What is the Temple Art Committee?